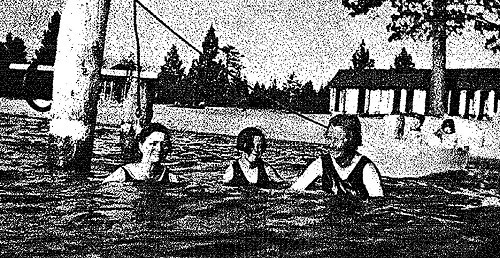 For centuries people have summered at Lake Tahoe. It was believed by the Washoe tribe that the waters of Da.aw (Lake Tahoe) had great healing powers and they often escaped the summer valley heat at the beautiful Lake Tahoe . John Charles Fremont and Charles Preuss discovered Lake Tahoe on Valentine’s Day, 1844. Fourteen years later in 1859 Billy Lapham moved to the lake from Placerville. 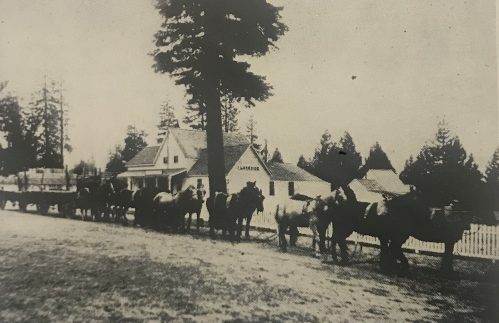 Lapham built his “Lapham House” near the intersection of today’s Hwy 50 and the Pioneer Trail with barns and a corral across the street where Raley’s stands today. The Lapham House was a 12-room hotel with a saloon that was located between stops on The Pony Express. 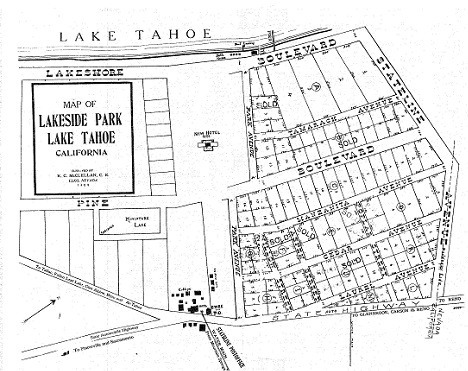 By 1873, Billy Lapham had over 700 acres in the South Lake Tahoe area including Lapham’s Fish Market & Landing where Lakeside Marina sits today. He decided to lease out The Lapham House and take a mortgage from Mrs. A. Marion Hill of San Francisco, so he could build a steamer ship. 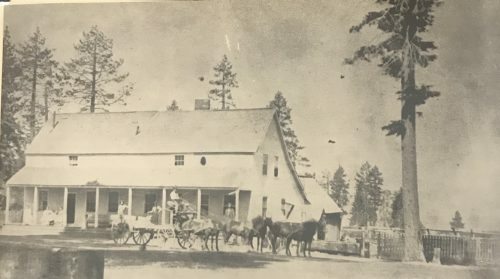 After changing names, the hotel operated until 1876 boasting to be placed in the middle of the Nevada- California Stateline. The Lapham Hotel burned down, and as a result, Billy defaulted on his loan with Mrs. Hill, and she foreclosed taking over all his land, and remaining buildings. In 1892 Mrs. Hill’s husband, E. B. 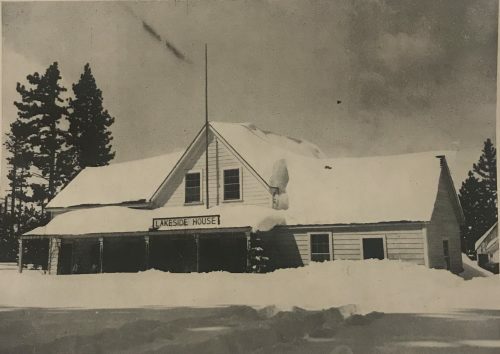 “Starvation” Smith rebuilt the house and named it “Lakeside House.” Smith also re-named the area Lakeside Park and the Smith-Hill holdings were almost 1,000 acres. In 1899 a new survey found the line to be 2000 feet North and the Lakeside House was not in Nevada but in California. The Stateline is still in this 1899 location today next to Harvey’s and Harrah’s Casinos. 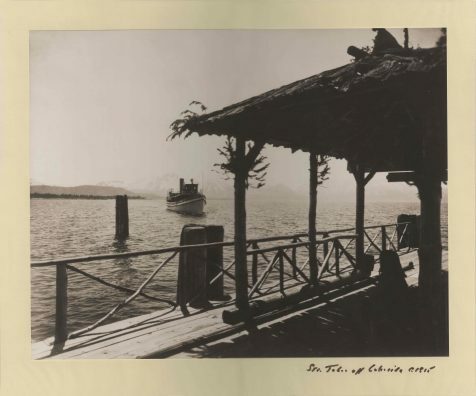 Several years later a steamer pier was installed, and a post office opened in the west wing of Lakeside House in June, 1901. The lake steamers made regular stops all year long. The area bordered by Park Avenue and Stateline Blvd. from highway 50 down to the Lake was subdivided in 1909 into home size lots as campgrounds. 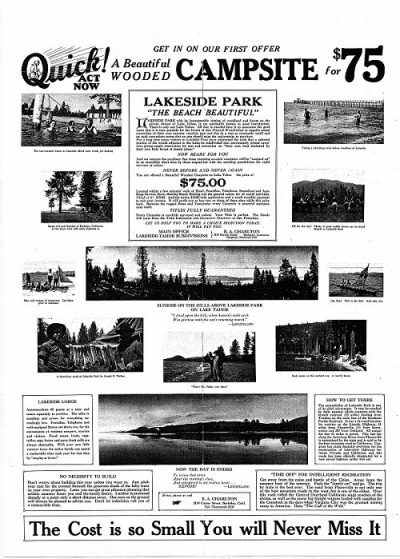 Campsites in Lakeside Park were still being sold for $75 in the late 1920’s and a big selling point was that all but the last 61 miles of road were paved from the San Francisco area. You could also have chosen to fly to Lakeside Park as early as 1921 as planes landed near the todays Lam Watah Trailhead. The property owners in Lakeside Park incorporated in 1938 in order to form a water company, that would provide water for the property owners. See more history on the water company here. The nonprofit corporation called Lakeside Park Association was established June 25, 1938. Making it the first subdivision in South Lake Tahoe. Today Lakeside Park remains a choice summer and winter community with residential neighborhoods, comfortable, pleasing motels along access to nearly everything without a car. The modern floating dock marina, Beach House Restaurant, private beach, reasonably priced, and boutique accommodations make Lakeside Park a destination for all seasons.